They just don’t build it like they used to, unless they work at Smith & Vallee Woodworks and Gallery. 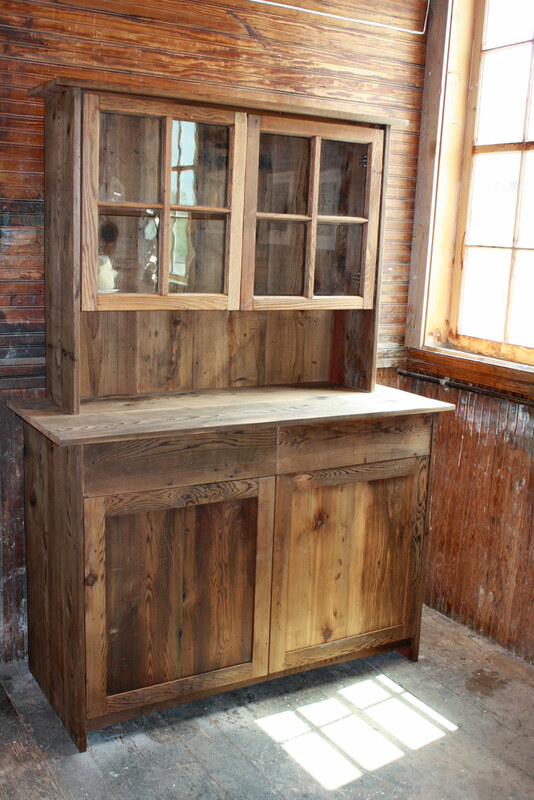 The talented and hardworking quartet has transformed an old barn into a state of the art shop, using lumber and windows salvaged out of the remodel to create their Tombstone Project cabinet and furniture collection. The only new materials in this new collection are the fasteners and hardware. 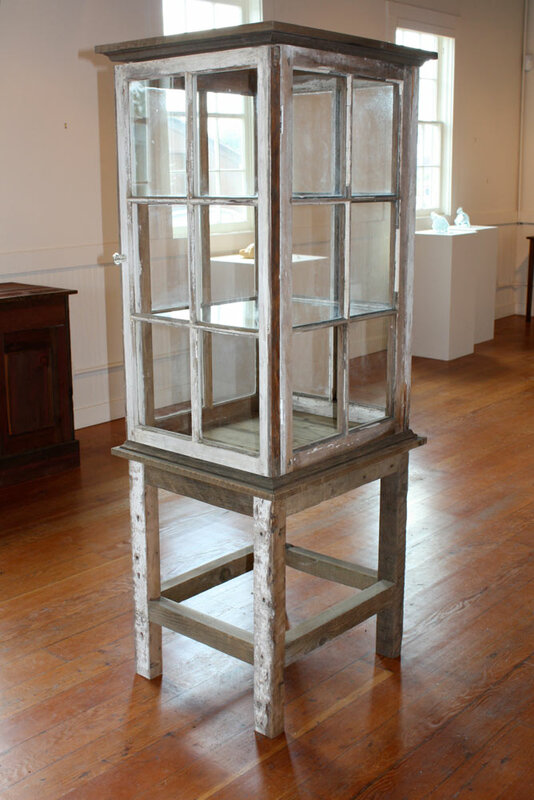 All of the wood and glass comes from the former interior of the converted outbuilding.Their tandem gallery opening reception occurs in tandem with the grand opening of the new shop this Saturday, July 9th from 5-8pm. 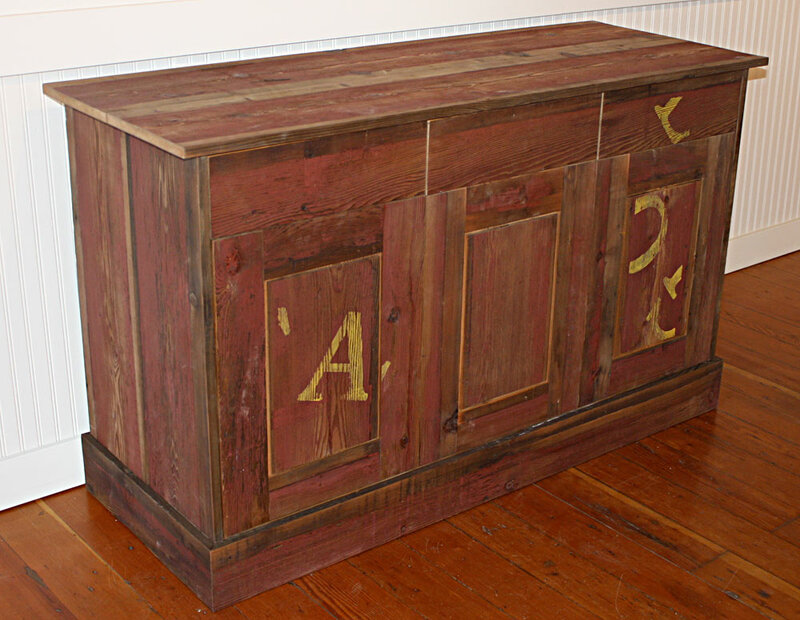 The collection includes classic work like the “Wells Fargo Buffet.” The antique mall inside the transformed barn had an old-style Wells Fargo painted sign, from which individual reclaimed fir lumber was repurposed into this beautiful 3-door buffet. The genius of this holistic project is every exciting to us at The RE Store, as we have just kicked off our own new-upcycled-materials furniture collection in April of this year, through the REvision Division. 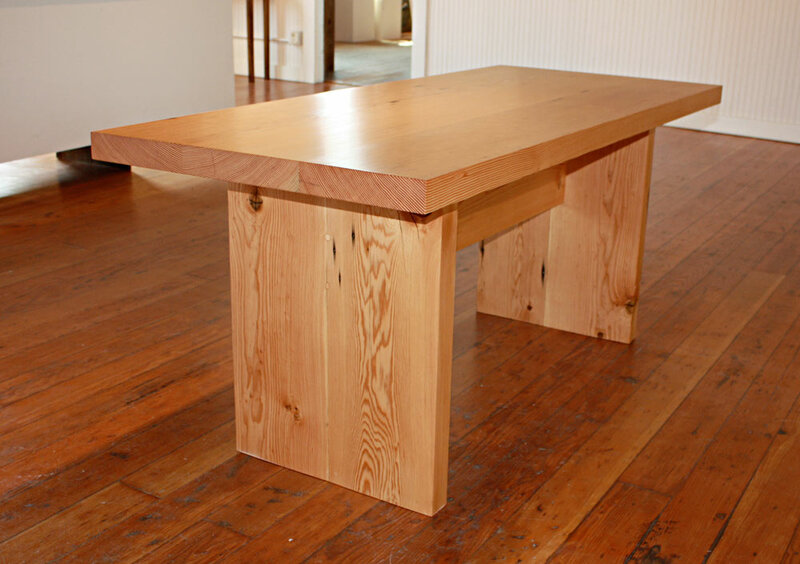 The Smith & Vallee team has been building their beautiful and affordable furniture for years so go see their latest work at the gallery opening reception and wood shop grand opening this Saturday, the 9th from 5-9pm. The collection will be viewable at their gallery through July 31st, Wednesday – Sunday, 11am – 5pm. Read our previous blog post about the Tombstone Project’s barn, converted into a state of the art wood shop.